When you are out on the road or even in just a music festival, you definitely want a jacket with hidden pockets or loads of pockets. There are times that your hotel or hostel might not be providing a security locker which will force you in bringing your passport, bank cards, and other important things with you wherever. When this happen, you surely don't want to place them in your backpack or regular pockets. Why do you need one? Jackets can keep you warm but a travel jacket with hidden pockets can keep you safe and warm. You can buy one without cutting too much off your travel budget. 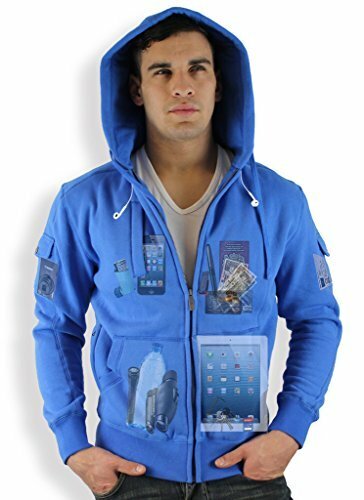 This jacket will also make your life easier, if you need to fish out your phone in a second - this will do the job for you. During a long-haul flight and connections, a jacket with lots of pockets will be very useful to have everything within reach. If you are not sure if you need a jacket or a vest with hidden pockets or inside pockets, check out this list below, some of them have detachable sleeves too - cool right?! A jacket with hidden pockets should not only about keeping your valuables safe but also can perform other purpose. For example, keeping you warm, letting your carry more things if you are travelling with a carry-on only, keeps you dry for rainy season, and other important and useful features. Here are the questions that you should be asking yourself before buying one. If you are travelling, the last thing you need is an extra kilo in your luggage. However, if you are travelling with a carry-on only, a jacket with lots of hidden pockets will be very handy. Even though you are getting a smart jacket, you want it to also serve its first purpose which is to keep you warm or dry. Let's be honest, the cheapest is not always the best but at the same time the most expensive can be overrated. Remember to compare prices before buying. If you want a jacket with inside pockets and hidden ones that is durable and will last for years, don't cheap out. Because good quality comes with a price tag. Do you need inside pockets? Does a waterproof jacket feature is much needed? Narrow down what features do you need most and will be useful for you to help you bring the top 3 to choose from and not get too overwhelmed with 10 options. Remember to consider how many pockets do you need? What normally do you carry around? Personally, if I really need to walk around with my valuables, I need at least 5 hidden pockets. Some are allergic to a specific material while some people would not like a jacket that is made of wool or the others. If you want a waterproof jacket, make sure the material offer this feature. Even you are thinking smart, you still want to not look too bad on your jacket, do you? Extra features like neck pillow and eye mask can be useful. Some jackets comes with hood or whistles, if you do not need this, remember to only stick to what you need. If you are in a hurry, you can check the comparison table below. If you need more information about the travel jackets, you may scroll below the tables. Here are the top travel jackets with inside pockets and hidden pockets for men, comes with different styles, colours, and number of pocket to choose from. Why is it one of the best travel jackets with hidden pockets? If you do not need a pair of sleeves, Bagket-22 is a good choice not only for the number or pockets but also because this jacket can also be turned into a bag, hence the name "bagket". That is not even the best feature of this jacket, it can hold up to 10 kgs. This is the answer not only for safe pockets but also for extra luggage. It is designed to hold passport, music devices, and even laptop or a tablet. It has 22 pockets in total, 10 internal and 12 external. A jacket that comes with 13 discreet pockets - A great all-weather jacket to keep you warm especially during cold time of the year. It is well designed for casual looking but comes with useful pockets. 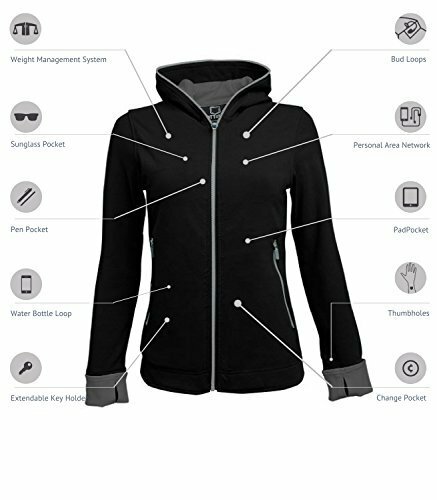 The best feature of this jacket is that it lets you use your smart gadgets without taking it out. The thin film screen lets you see through and use you without problem. The first time I came across this travel jacket, I've thought, "I wouldn't need a bag if I have that jacket." And I still think the same. 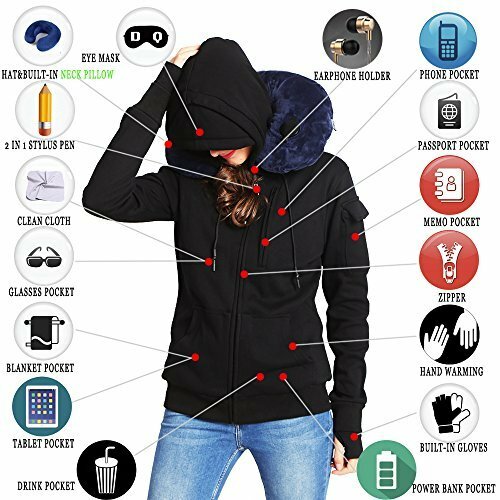 Because this jacket has 10 hidden pockets plus amazing features such as inflatable neck pillow, eye mask, earphone holder, eye glasses holder, face mask, can holder to keep your drink warm or cold, and hand gloves. Not to mention that this jacket will keep your passport, bank cards, and gadgets safe in your body. Do you also notice how fashionable it is? Let's list up another gear here because, personally, I think they are cool. 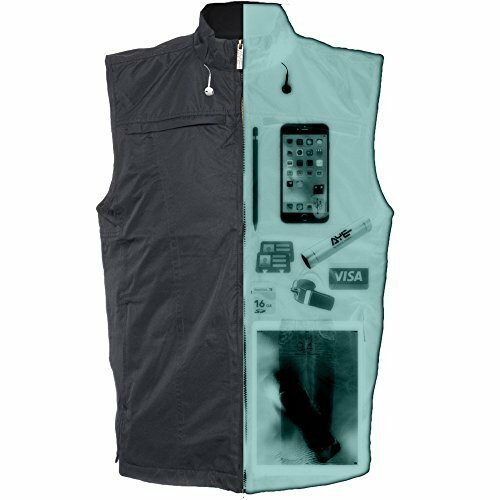 AyeGear V26 is a vest with 26 strategically and concealed pockets to keep your valuables safe. It is waterproof, windproof, and breathable which can keep you cool and warm enough when needed. It has two large pockets which lets you carry two tablets or one laptop. Just like the other AyeGear jacket, you can use your smart gadgets without taking it out. I think the best feature of this vest is that if you decide to travel with this one, going through the security controls will be a no problem. It is definitely one of the best travel vest with hidden pockets. If you experience in severe back and neck pain, you probably should go for SCOTTeVEST's jacket for men with 25 pockets where the design is focused on having weight system well-balanced. The weight load is all across the garment to prevent these issues. 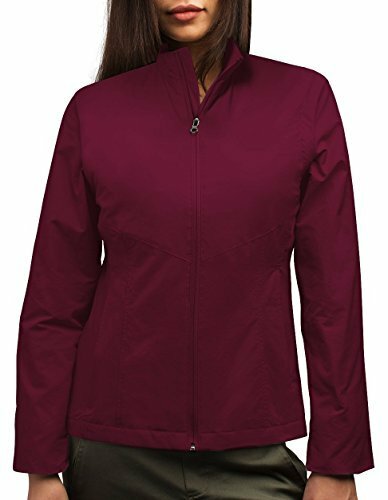 Here are some awesome travel jackets with hidden pockets for women, they are not just very useful and strategically well-designed, the styles are also pretty cool and the colours available are plenty. Bombax Womens Sweatshirt also made a counterpart of their incredible jacket for men. 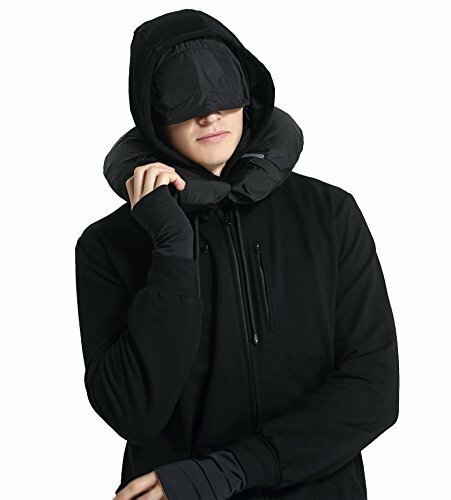 This travel jacket comes with 10 hidden pockets and useful features like eyemask, inflatable neck pillow, and face mask. This jacket also has a pocket to hold your drink. Access your gadgets, passport, sunglasses, and other essential quickly. If you want a hood, this one has it. If you want a stylish but smart jacket, this one has 15 pockets which doesn't only keep your valuables safe but makes sure that you can still use it even when you are not travelling. Either going on a soccer game with your game or a hiking weekend, this one is for you. There are a lot of pockets on only outside but also inside the jacket itself. Fill it in with what you need for the day without looking too bulky. This jacket comes with a hood. Here is a travel jacket that will not only give you hidden pockets but will also let you decide if you want a vest today or a full-on jacket. 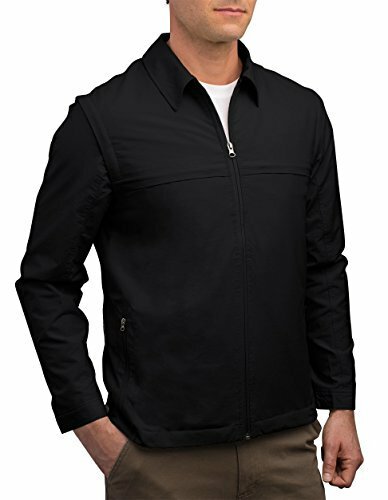 The sleeves of this SCOTTeVEST are attachable within seconds. It also has 23 pockets which saves you a handbag when travelling. Reach out for the map, your mobile phone, passport, and other basic needs in just seconds. This jacket will also keep your bank cards and passport safe since it has a built in RFID blocking pocket to avoid high-tech skimmers and thieves. This jacket doesn't come with a hood. 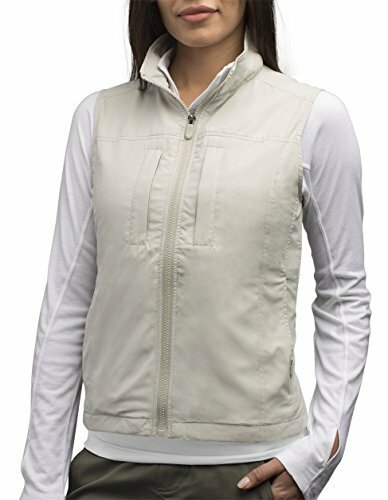 If you are one of the women who loves vest, needs a lot of pockets, but is concern with the weight, this featherweight vest is possibly what you need. 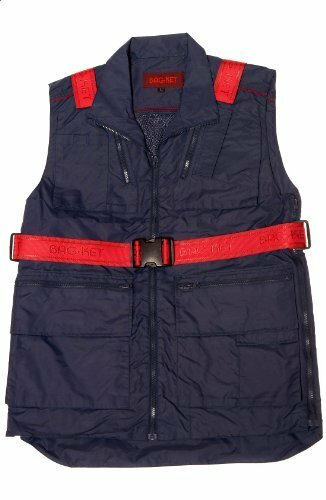 Carry all you need without looking too bulky because this vest has 14 pockets, keep your body warm during late spring or early autumn, and of course stay stylish at the same time. It can carry not only small items but even your iPad or Tablet. This vest from SCOTTeVEST is also RFID safe to avoid any high-tech skimmers and thieves to steal the personal details in your bank cards and passports. Need a travel vest hidden pockets? This one is for you! Personally, for a travel jacket for a man, I would choose the XY37 Men Travel Hoodie. It comes with great features, it is made of comfortable material. The weight is a little off but if it means it will be good enough for winter, then it's a no-brainer. It is also fashionable enough in a casual way. I am also taking into account how easy to wash and dry it. While a travel jacket for a woman, the XY37 Women's Jacket is a winner too. However, the fact that SCOTTeVEST Sterling Jacket placed a featured of detachable sleeve is giving me a strong feeling to take that one instead. I also like the available colours for it while the designed is something casual yet smart looking which I prefer. In everything we own, if we want them to last long. Same goes for our travel jackets. When you are not travelling or when it's not in use it is very important that we clean, dry, and store our jackets properly. Not only for its quality to be kept but also to make sure it doesn't have any funny smell and have it ready for the next trip or season. Before throwing the jack inside the washer, check all the pockets and empty them. Some people leave tissue inside which ruins the fabric because paper gets mashed and then it sticks everywhere. Remember to remove all the sharp objects, these can make holes in your jacket and break your washer. Once it's empty, place in the machine (mix with other clothes in the same colour but do not overload), and set the temperature to 30°C (86°F). Make sure to read the manual for your washer to guide you properly on the temperature. Another thing to consider is to read the washing manual for your jacket, check if there is a specific temperature or settings to use. Use normal detergent and two tennis balls to keep its volumes, avoid tangling and help ventilate. You should rinse it twice. When drying, use the two tennis ball again and set the machine on synthetic, these help to fluff up the feathers. Perhaps dry it 2-3 times to makes sure it is fully dry. If you do not have a dryer, you can hang the jacket on the clothesline or rack. Make sure to turn, pat, and shake it once in a while to avoid the feathers sticking together. You should never dry your jacket on a radiator. When your jacket is completely dry, place it on a hanger, use the best size that covers the entire should length on both sides, and hang it inside your closet. Once in a while, air out the closet so the wood smell won't stick on your jacket. 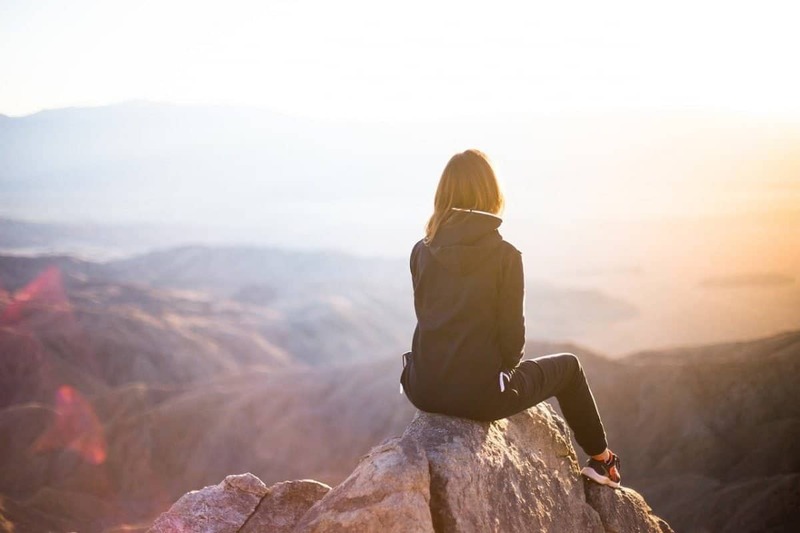 I hope you found this article useful and I helped you fiund the best travel jacket with hidden pockets for yourself and how to clean it properly. If you have any questions, let me know in the comment section below.